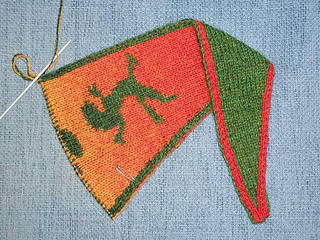 Geckotuch as PDF file - it is just the Chart - no other information is added. 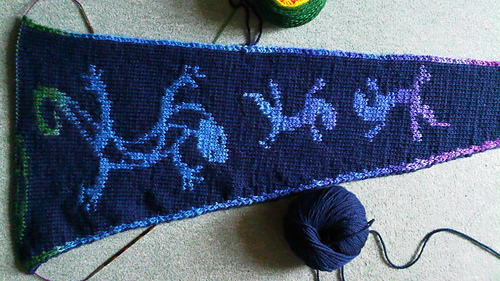 Be careful - this is bigger than my usual Shawls which have 640 rows. 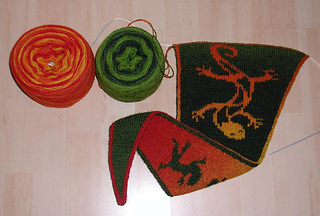 For 680 rows one skein of Wollmeise 100% each is not enough! 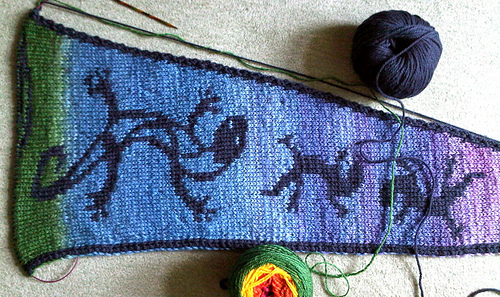 I will add a Geckotuch with only 640 Rows on Tuesday 22nd June.